Yield varies, and is affected by a variety of factors, such as material, bolt length, under-head register length, and shank diameter. As explained above, what we really want to do is install the rod bolt at a near optimal percentage of yield in order to apply as much clamping force as possible without putting the integrity of the bolt at risk. Using a torque wrench to tighten the rod bolts in your high performance engine is a risky proposition, unless you are willing to invest some effort into quantifying the readings. Torque in regards to bolt tightening is just the amount of force required to overcome incremental increases in friction. Torque readings (friction) are affected by thread quality, composition of lubricant, and surface finish of the bolt spot-face machined on the cap of the rod. Beyond the friction variables, not all torque wrenches – or users for that matter, are created equal. I have used nearly every type of torque wrench available, and have a very high quality calibration unit at my disposal. 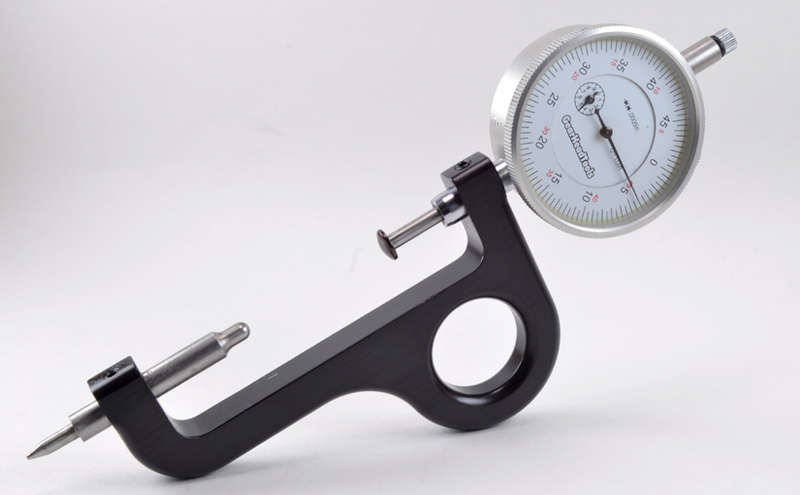 The only torque wrenches that are consistently correct throughout the scale of readings, are high quality dial type. The ever-popular “clicker” type wrenches rarely apply the torque that the user has dialed in, and the higher the torque, the more it’s off. With that being said, they will torque consistently, just not the proper amount of torque. Install the cap on the rod with the manufacturers recommended lube on the bolts. Carefully draw the cap into the rod using a nut-driver alternating from side to side in order to keep everything square until the cap & bolts are properly seated. Loosen one bolt just enough to be sure there is no load on it. Install the bolt stretch gauge on the loose bolt. Finger tighten the loose, just measured bolt. Torque the opposing bolt to 25 ft. lbs. – this assures it has a small amount of preload on it. Torque the measured bolt to the manufacturer’s recommended value. Install the stretch gauge, and see what the bolt stretched to. If the bolt isn’t within specs, loosen and adjust torque up or down until you reach the desired stretch. If the bolt is stretched within the specified range, loosen the opposing bolt and repeat the measure/torque/verify procedure. Repeat these steps to 4 bolts to assure that the same torque reading provides the same amount of stretch. At this point you should be able to use the torque wrench reading determined in the outlined process to torque the rest of the bolts, or continue to stretch each bolt individually. I should also be clear that you must zero the dial on the stretch gauge for each bolt. The center dimples used for the gauge are not a critical dimension, and will vary from bolt to bolt. That’s all for today. I hope I’ve cleared up any of the mystery surrounding proper rod bolt installation for you. As always, I look forward to your feedback, questions, or comments. You can comment directly to this or any other article on the site or send me an e-mail. Please invite your friends to join us, and thanks for visiting …..
Wow, great site. I am auto tech student in Lubbock Tx. Very Cool of you to give free info and knowledge! Thanks.